It became crucial to speak of this recent issue. Puntland cut ties with the federal Government in July 31 and It withdrew its federal members of parliament from Mogadishu . Puntland hosted a consultation for MPs after an agreement signed in Mogadishu stated that Mudug will be attached to central Somalia region which annoyed Puntland leaders and its people and after long debate Puntland decision concluded as always on cutting ties and presented 30 days of dialogue and consensus. Although former President Abdirahman faroole practiced this issue earlier and remained un-touched It became unknown when the ties was restored again officially. 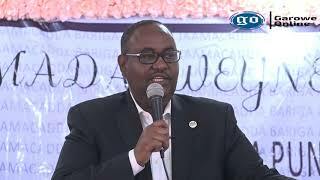 Puntland blames Hassan’s Government for Constitutional intrude without consulting the federal member states like ‘’Puntland ‘’ and also politicized intervention to dismantle Puntland regions . Puntland president, Cabinet ministers and federal members of parliament conference at Puntland presidential palace presented four core points that will be a guide to further negotiation now the time of the dialogue is over. Abdiwali’s inferior Administration came as silent as the grave while deadline set for Muqisho-Garowe dialogue ends. 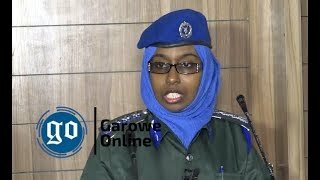 Press statement released by the Minister of justice says technical problems became obstacle to Puntland-Mugadishu talks but when you logically refer these so called statements you can grasp that it’s a test to Abdiwali’s decision on the issue and inferiority of his policies. Puntland is not one of Muqdisho’s Villages but state that has its own Constitution and its own Leaders. If the deadline collapses Puntland has a second option which details where it should go, our Constitution is our supremacy and it’s the one that guides us. 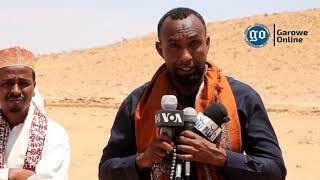 The acceptance of the statement released disqualifies Puntland’s influence on Somalia’s politics and lowers its eminent. Puntland state ages at 16 years It struggled for re-uniting, recovering the rived Somalia and was the lactating Mother of Federalization (Regionalization ). 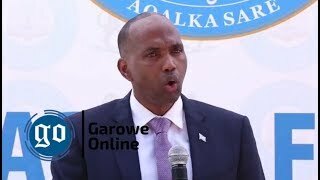 It was the leading member to form a Federal Constitution to Somalia but Puntland became ungrateful to Mogadishu response despite what Puntland deserves Villa Somalia hired a destructive involvements that that will rub out Puntland’s existence . Puntland adopted a regional Constitution in wide Community gathering with International Community and even a members from the so-called Mogadishu government present. The pages of this Constitution was appended three core points which directs what Puntland will do if setting up a federal state in Somalia fails in its sense . And for me I think the era to implements and uphold the appendix zed points has come. 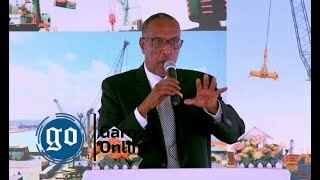 Puntland will not claim the future destruction of Somalia and I remember former President of Puntland Dr. Farole saying :” Puntland will not wait for butcher or died body,” that means Puntland will ahead it future . We all realized that completing the agreed federal state structure fagged and failed to work, Thought Puntland should show its self-reliance and ahead its independence pioneering as its Constitution pinpoints because Puntland has enough ability to be independent state. The concept of cutting ties is not new idea and it became a preferable decision in this era when such kind of situation revolts. Dr. Abdirahman Farole was the leading person of re-Somalization (getting Somali unity back ). He was well known actor in Federal state structure establishment, Federal Constitution formation and with absence of Faroole decision remained disqualified and uninfluenced. 2 Years back Hassan Sheikh who is the presiding body of the federal Gov’t took over Presidency. President Faroole at the time shortly appreciated him for his victory but a year back in 2013 Hassan’s Gov’t pressed ahead with Constitutional crisis without consulting with the great member on constitutional adoption. President Faroole sued these bodies but no change was realized than followed by the stoppage of Presidents decision to work with Villa Somalia and became hard to a simple persuasion of sacrifices. 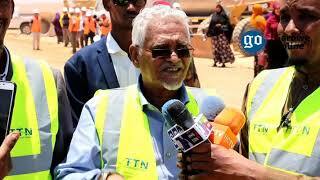 He was all his way to ahead Puntland’s future his decision ended up as positive and was ahero of his decisions . In my point view, Puntland leaders will be clear to the public. We saw the aftermath of the time given for dialogue has collapsed and federal Government sounded nothing about the decision. Our voice became disrespectful and seen as minor thought in this contexts we need to appear and show our self-determination and stronger state than any other. This will become when the appendix points is authorized to Constitution and clear our ability of self-reliance, that means Puntland can announce its independence pioneering , we can present the idea for secession to the world because of our political maturity.